… it seems that London has turned into a quagmire of excitable children and very bemused and tired looking parents being hauled around the city. The half-term holidays in the UK seems to produce this panic-inducing disease of madness that descends on a city that is just working out its routine after the Christmas break. Those frenetic but free-flowing streams of determined commuters have been disrupted by the giant pebble of kids and no body is happy… during any other week in the year I can drag my tired arse up from the tube station, along St Martin’s Lane, into my favourite coffee shop and on auto-pilot make my way to my desk, gently readying myself for the day ahead. Not this week. This week I’ve had to fight from way too early for any normal kid to be in town until way too late for sensible parents to allow their kids in town… it must stop now. put the flour into a large bowl and add the salt, sugar and mixed spice along with the yeast. add the butter and just over half the water and bring the mixture together with your hand or a rubber spatula, add a little more of the water as you go, you should be able to clean the bowl with the ball of dough. It’s possible you may use all the water or just the first added amount – you want dough that is soft, but not soggy. pour a little vegetable oil on your work surface and then tip the dough onto it and knead for 8 minutes or so until the dough is soft and silky. put it back into the lightly oiled bowl, cover with a tea towel and let it rise for at least an hour till doubled in size. You can leave it longer if you need to. tip the mixed fruit on top of the risen dough in the bowl and start working them into it. After a minute or two, tip the dough out onto a lightly floured surface and knead until the fruit is thoroughly mixed in. I am fascinated by these tea cakes! I am a baker at heart and wish we had these in the states. Toasted with lots of butter looks pretty amazing! What kind of fruit did you use? Also the mixed spice – is that a cinnamon, nutmeg mixture? Thanks! hey Tricia, yes, I guess my ingredients is vague… the mixed spice is actually called 'mixed spice' and has ginger, cinnamon etc but as long as you include cinnamon you could use whatever you like… as far as the mixed fruit, again it was one of those premixed packs with sultanas, raisins and orange peel but as long as you have peel and some kind of currant you should have that authentic taste! Hope this helps! 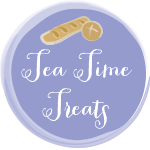 Toasted tea cakes are one of my absolute favourite treats. There's nothing quite like them when you come indoors a cold and miserable afternoon. Many times recently I have thought to myself “it's a toasted teacake day” while I was out with the dog and fighting my way through the freezing drizzle. Yum !! 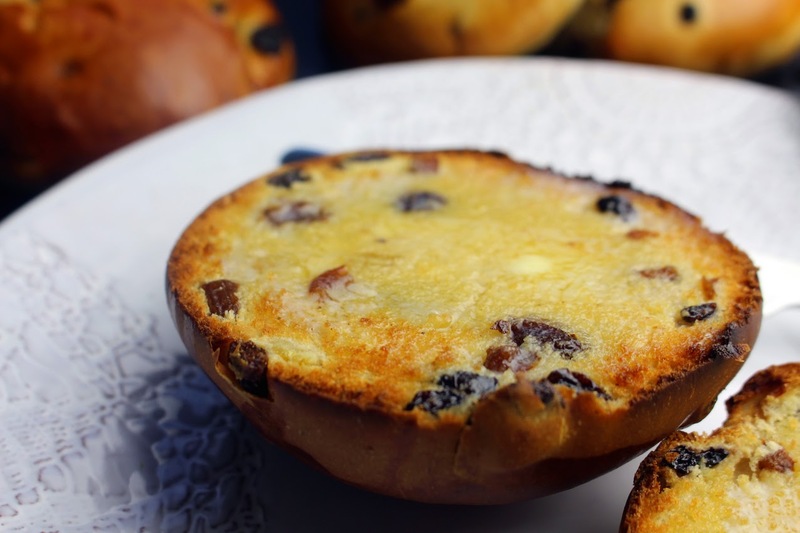 How did you know – I have been craving toasted tea cakes all day – comfort food warm and toasty in damp weather. I have planned to make some this Saturday. Great minds think alike. These are absolutely delicious, I've been craving teacakes for a long time, your teacakes look amazing. I've never heard of teacakes but they have to be great, wish I had one! Thanks for the recipe! How lovely! I am ABSOLUTELY making these this weekend, Dom. What type of mixed fruit do you put in yours, Dom? I have raisins, cranberries, dates, apricots, currants, prunes. Do nuts evermake their way into the mix? You know the old Rich Fruit Cake with Wensleydale Cheese combo? 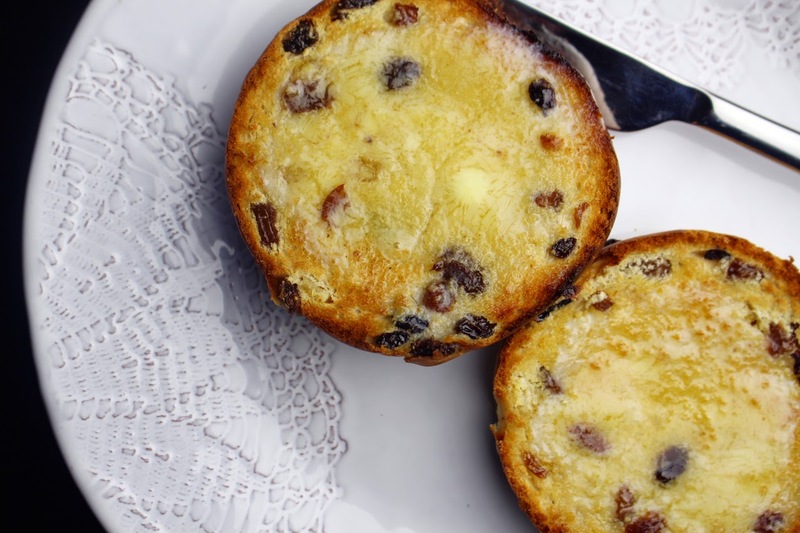 Try having a toasted Teacake with a slice of Cheddar on it… Magic. Can't think when I last had a toasted teacake. Must make a batch very soon. I'm afraid I will become addicted! The tea cakes look delicious, but your beautiful plate is what is really attracting my attention! Oh my! Dom! These look frickin' gorgeous- I was figuring out what to bake this afternoon. NOW I KNOW! Teacakes are delicious! Always! London with kids in half term is not! Ever! As one who knows…. half term is almost always a pain in the arse!!! I sense a couple of batches of these coming on for Easter! I can smell them from here! Oh no, not a good week then. Hope this one proves to be better. 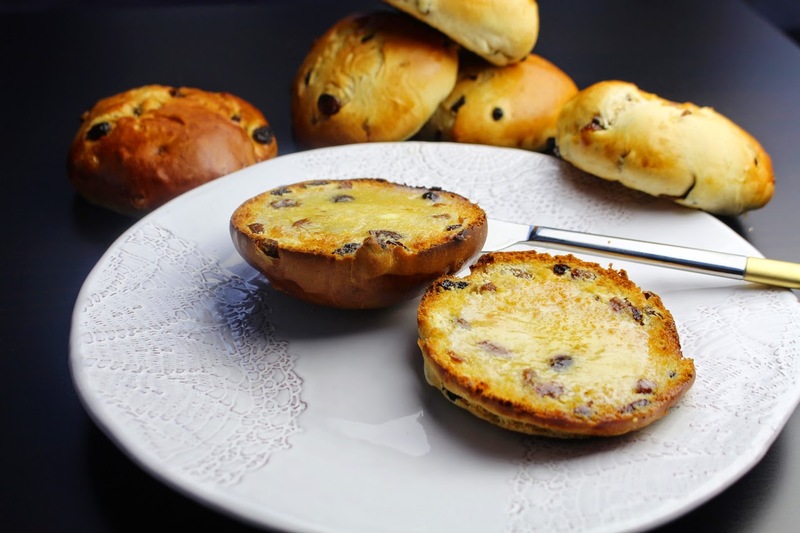 Surely these toasted teacakes helped jolly you along – nothing quite beats one, hot and slathered in butter and home made are even better. Yours look super scrumptious. Half term is a knightmare for me, my day job becomes an ancillary for badly behaved kids that are literally left alone to do as they please as the parents skip along merrily in there own little world leaving me to clean up after there little darlings. If I had the opportunity I would frisbee teacakes at them! not before taking a bite of course.